Porto lost yesterday with Benfica 1-0. And lost the hardest way possible for a Porto supporter: a bad goal from one of our symbols: Vitor Baia. And right on the day that he accomplished its 400th match in the Portuguese league (previous 1st division) and his return to the first team after some weeks. If, by any awkward motive, someone is not familiar with this name, I can only mention that he is just the player with more titles worldwide, including all the possible international clubs’ titles (apart the European super-cup), namely UEFA Cup, UEFA Cup Winners Cup (finished), Champions League and World Cup. Basically a living legend and still one of the best goalkeepers in the world. 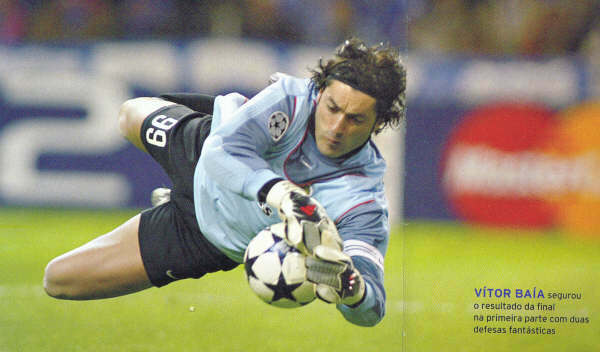 And naturally one of the more charismatic players of FC Porto’s history. Yesterday tough, in what could be a memorable match, he failed in the worse possible way at the worse possible moment, causing the defeat of FC Porto in “Estadio da Luz” for the first time in 5 years (and also the first time in 29 years that Porto lost two matches with Benfica in the same season). Of course I saw Baia before letting lousy goals, like I saw Schmeichel, Khan and other outstanding and historical goal-keepers. And they are still great goal-keepers. Great players are also made of this!!! Countries I have visited - Update!